360-videos may not always be ideal. There is content everywhere and most of the times, you can’t see a major part of it in your natural field of view (at times you don’t even want to). Now, YouTube is looking into a new way for consumption of VR content and has come up with VR-180; a collaboration between YouTube and Google’s Daydream VR to make the 3D VR videos a mainstream option. The Google-owned site made the official announcement of the new format (VR180) at Vidcon on Thursday. As the name suggests, VR180 will provide that immersive experience when you are looking forward alongside the ability to look around. You won’t have to spin your head all over to see what’s behind you because there is nothing. In short, you will be able to feel the virtual reality within the 180-degree vision limit. That’s what you will experience when the VR180 video is played in a VR device like Daydream VR, Google Cardboard, PlayStation VR etc. Outside VR headset, it will be played as any other normal video on a screen. There are various advantages of shooting 180 degrees of VR instead of going full 360. You don’t need something as huge (and expensive) like Google-360 Jump Suit to create VR in 180 field-of-view. Since you are not recording the space behind the camera, the videographer can stand behind the setup and do his job without knowing extra techniques (you should know how to hide in 360 degrees), just like using any other normal camera. 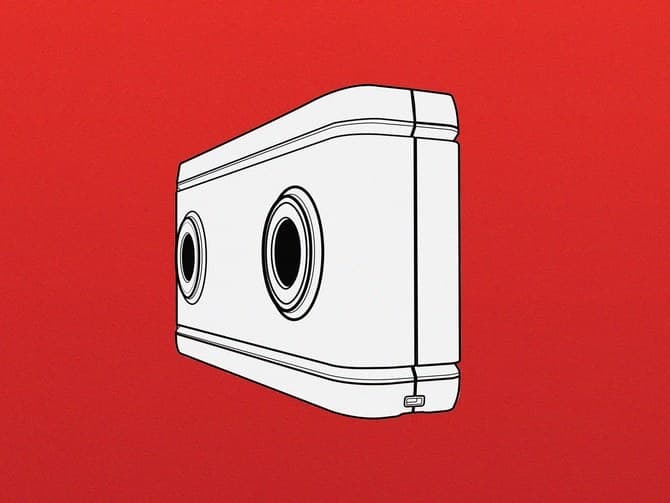 YouTube is also partnering with major electronic manufacturing brands like LG, Lenovo, and Yi Technology among others to develop the VR180 cameras. The first series of VR180 products are expected to hit the market by the fourth quarter of this year. Although we are not getting any closer to full immersive experience, this step is going to tempt the YouTube creators into making VR180 videos, instead of the usual flat videos, increasing the VR content on YouTube dramatically. And why not? One just has to update his/her camera (which is going to cost nearly the same! ), that’s it.